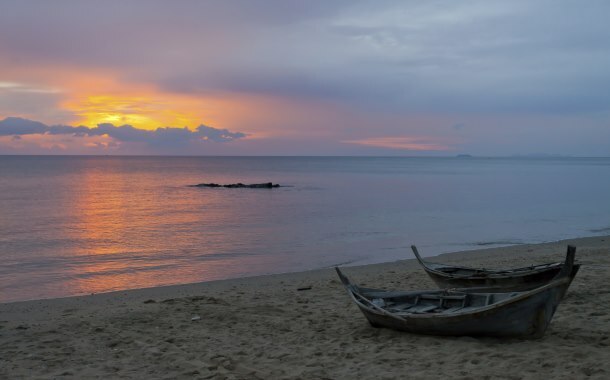 Nestled in the Bay of Bengal, it’s a group of shimmering islands rich in underwater life and treasures, a hotspot for water sport activities, and home to some of the oldest tribes. It’s a popular destination among all types of travellers be it the honeymooner, adventure seekers, nature lovers or a travel bloggers. By travelling to this place, you’re guaranteed of a holiday filled with adrenaline rush, romantic moments, serenity and picture-perfect sceneries. Don’t delay your happiness further, book one of Musafir.com's Andaman tour packages and gift yourself the much deserved break. 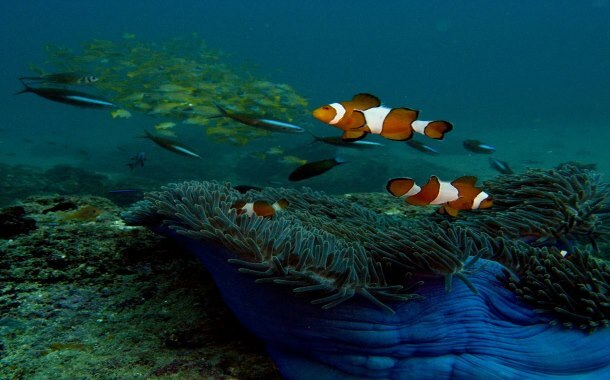 Enjoy a glass bottom boat ride or snorkelling at the Coral Island. 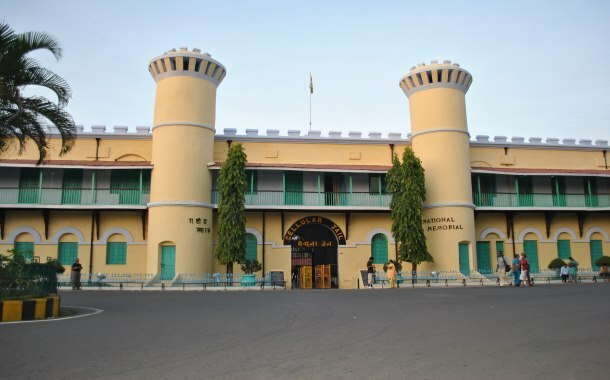 Witness the spectacular Light and Sound Show in Cellular Jail which brings to life the heroic freedom struggle for independence. 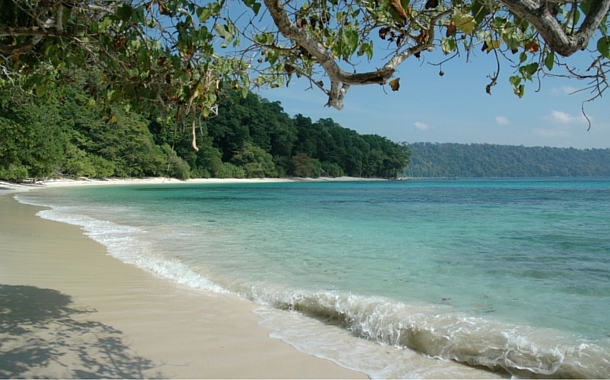 Pump your adrenaline and indulge in scuba diving or parasailing at Havelock Island. Take a scenic trek from Mount Harriet to Madhuban and treat your eyes to lush green forests. Explore the museum at Ross Island and catch a glimpse of the photographs and antiques of the Britishers. 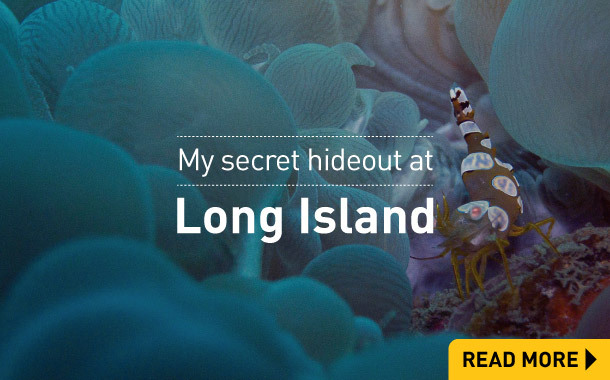 Camp at the Long Island and enjoy wilderness at its best. 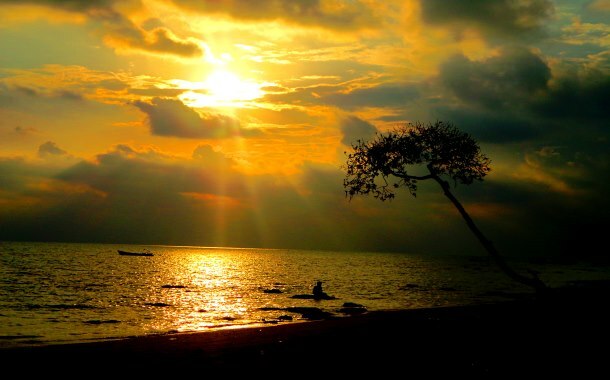 Visit Radhanagar Beach, one of the best beaches in Asia, and capture shots of the stunning sunset. Explore the Baratang Island and be awed by the naturally formed limestone caves. Do remember to visit the Aberdeen Bazaar and shop for exquisite showpieces and accessories. You can also take the seaplane from Port Blair to the different islands. If you’re visiting Andaman in January, experience the Island Tourism Festival in Port Blair and enjoy the performances of popular Bollywood singers and artists. Major airport: Veer Savarkar International Airport (Port Blair Airport). Language: English, Bengali, Hindi, Tamil, Telugu and Nicobarese. Popular delicacies: Tuna, crab, tandoori fish and fresh coconut water. Check out our best selling Andaman holiday packages that have been designed to give you an experience of a lifetime. Take your pick; be it adventure or a family holiday. With attractive prices, these holidays guarantee unlimited fun. So, what are you waiting for? 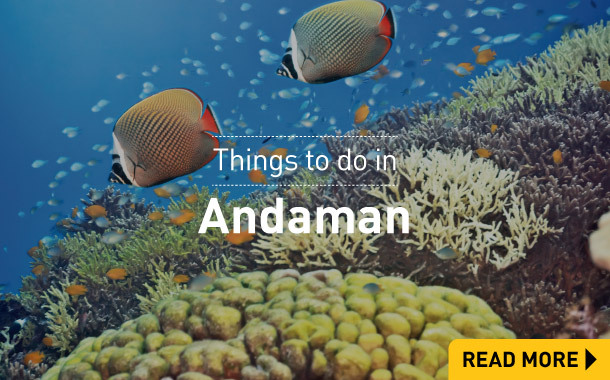 Get ready for your Andaman holiday. 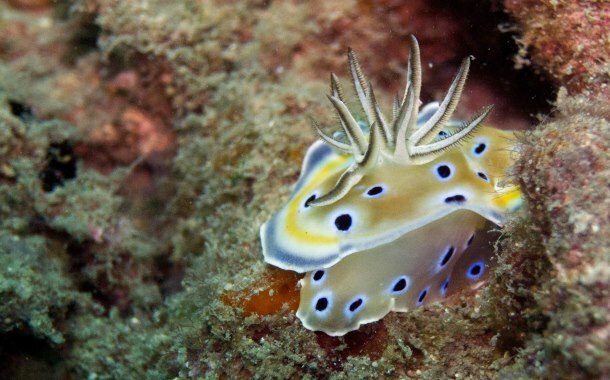 Wish to explore Andaman and discover the unknown? We've listed down a few thing you not miss out on your trip. 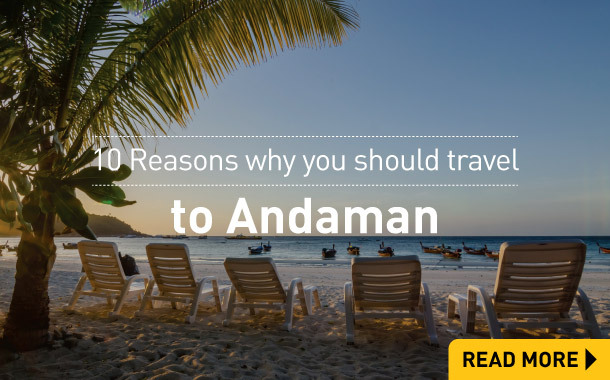 Musafir.com's Andaman travel guide will help you plan your holiday better. 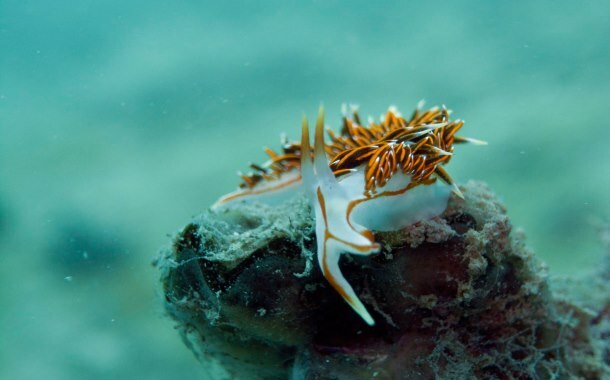 These amazing pictures of Andaman will leave you wanting for more. Browse through the gallery and get inspired! 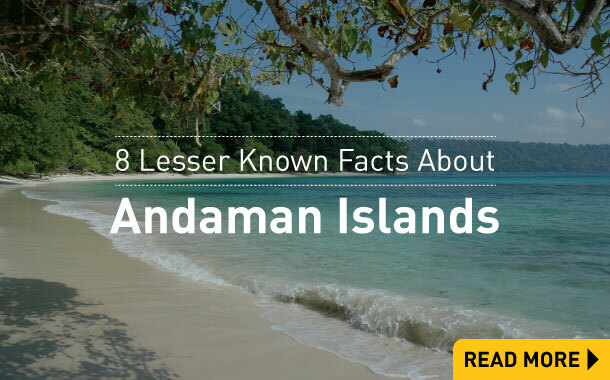 Andaman has a tropical climate, the weather is mostly humid with pleasant sea breeze. In April, the temperature rises to an average high of 29°C while in February, the temperature falls to an average low of 19°C. Best time to visit - You can visit Andaman from October to February as these months are ideal for sight- seeing and water sport activities. If you love rains and enjoy the sight of lush greenery, visit the island between May to August during the monsoon season.